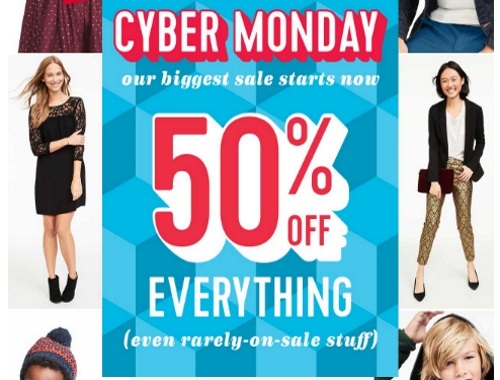 Old Navy has their Cyber Monday Sale on now, their biggest sale of the year! Save 50% off everything, even the rarely on-sale stuff! No exclusions on this one! No promo code is required, discount comes off at checkout. This is an online exclusive. Offer ends Monday, November 28, 2016.